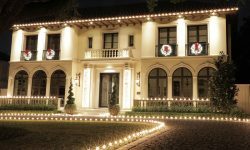 With an abundance of information (and misinformation) available on new and old lighting technologies, it’s hard to know which to choose for your holiday decorating. 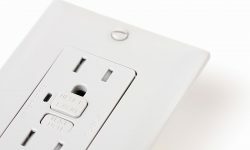 To help you make an informed decision of your own, below is some straightforward information on the types of lighting options available to you. 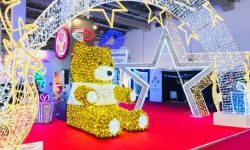 The term “LED light” refers to a lighting type that emits visible light when electrical current passes through a microchip, which in turn illuminates a small light source that we call an LED or light emitting diode. The most talked about benefit of this type of light is its efficiency, and therefore, energy savings. Why? Because LEDs are able to convert far more of the energy they consume into visible light instead of heat. In fact, they are about 85-90% more efficient than an incandescent or halogen light bulb. 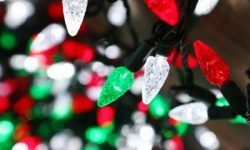 This is great news, especially during the holiday season when you want your Christmas lights to glow late into the night. 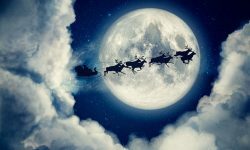 LED lighting options can ease your worry about your abundance of holiday spirit also producing an abundance of high energy bills. Rest assured, they are working effectively all season long. Another benefit of the LED bulb is its lifespan. LEDs do not burn out, they only experience what is known as lumen depreciation. This means they will dim slowly over time and need to be replaced when they reach a point of producing about 30% less light. It is easiest to think of incandescent lighting as the “traditional” light source. Think back to the Edison bulb. This simple and commonly seen bulb works when current runs across a filament in the center of the bulb that is strung between two metal bars. As you have likely experienced, the filament will eventually break or “burn out”. 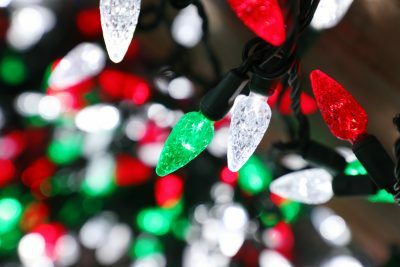 You have probably seen this happen on a string of white Christmas lights that has a single light out; when you look closely at the dead bulb the tip is often slightly smoky and darkened as a result of the filament’s burnout. Despite the fact that incandescent bulbs are less efficient, converting only 5-10% of energy into light, they are still a popular pick where string lighting is concerned. Some feel they have a “warmer” glow that LED lighting options. CFL (Compact Fluorescent Lamp) and Halogen bulbs are also energy efficient options, which are available for interior home lighting. 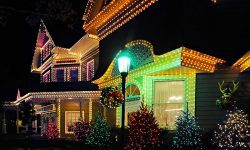 However, these lights are not seen in string light styles. Halogen lighting is very similar to incandescent, with the addition of low-pressure halogen gas filling the glass bulb and helping the filament burn. CFL lights are exactly like they sound—compact and fluorescent. Think of the long tube-like lights you typically see in overhead fluorescent lighting, but smaller and coiled up into a spiral instead of a long straight tube to fit in-home light fixtures. 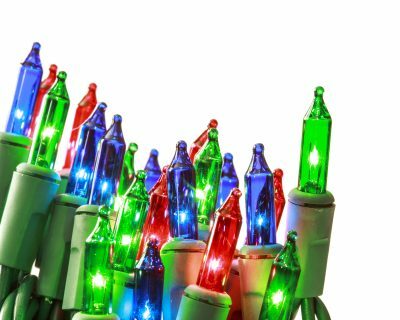 With LED and Incandescent string light options available in a large variety of styles and colors, you can’t truly go wrong either way! Take the modern path with bright and efficient LEDs or the traditional path with classic, warmly glowing incandescent lights. With either kind you choose, be sure to apply them liberally to your home and yard this season for a proper and festive application!